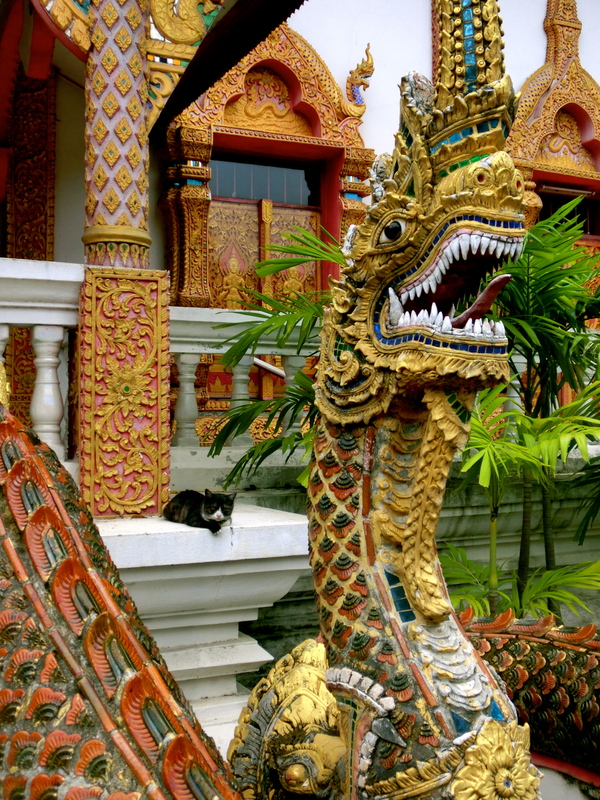 First stop on our brother & sister SE Asia trip: the biggest and most culturally significant city in Northern Thailand. 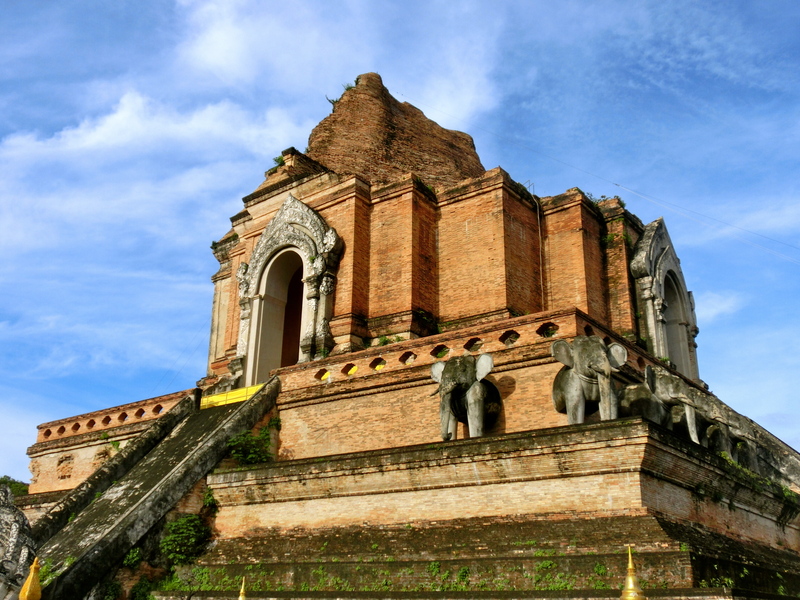 Chiang Mai is famous for the many temples within it’s walled-city centre, its rich history and the amazing mountains surrounding it. Everyone here was so friendly and very laid-back; it was easy to feel right at home. 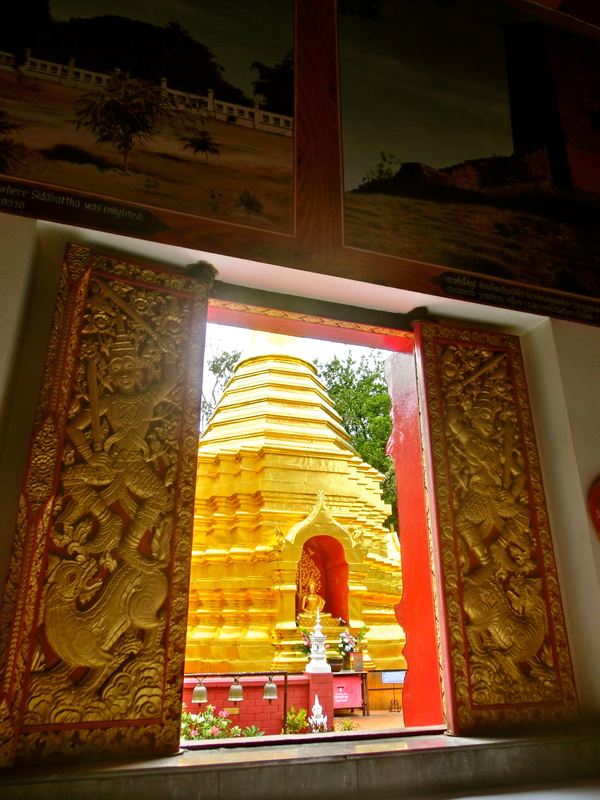 We stayed in Yindee Stylish Guesthouse, which is a charming, small hotel, right in the centre of the old town – only a couple of minutes walk to bars and restaurants and less than 10 minutes walk to the main temples. 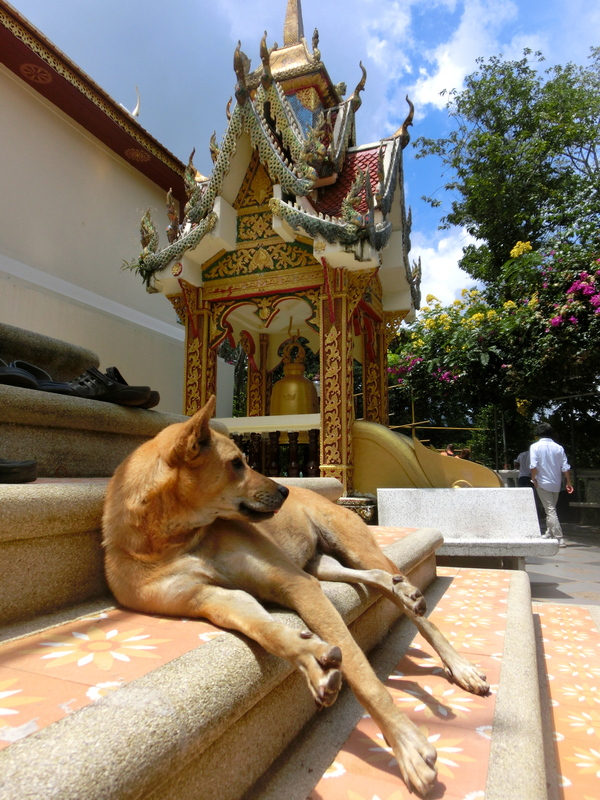 We spent our first day strolling around the old city, stopping off at the temples we passed by. 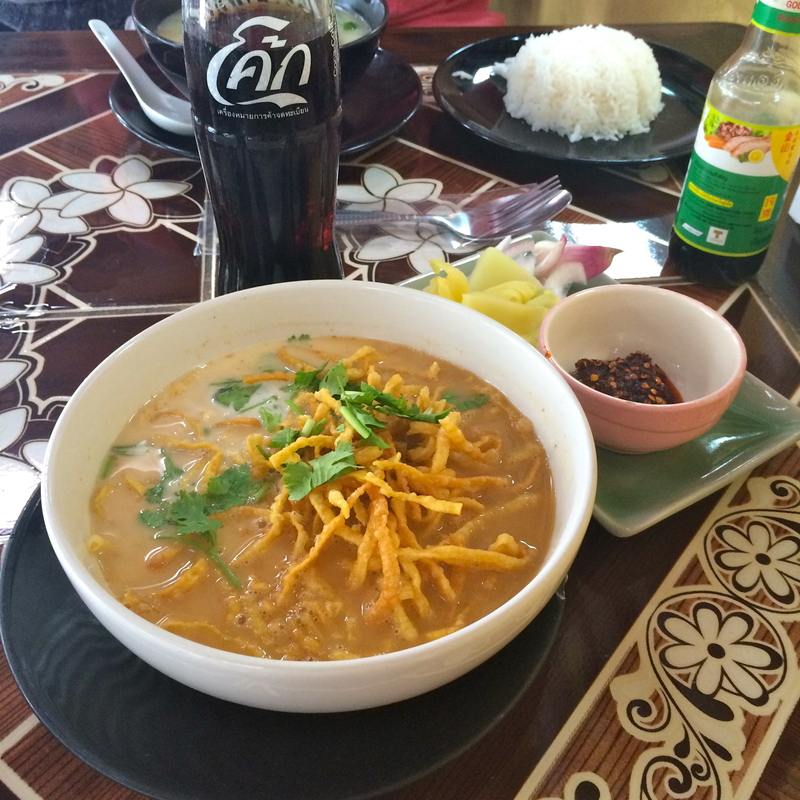 We took a break to sample some local northern food for lunch: chicken khao soi at Mr Kai’s. This spicy coconut curry soup with boiled noodles, topped with fried noodles was just brilliant. I don’t know why it’s not on the menu of more Thai restaurants outside of Thailand! 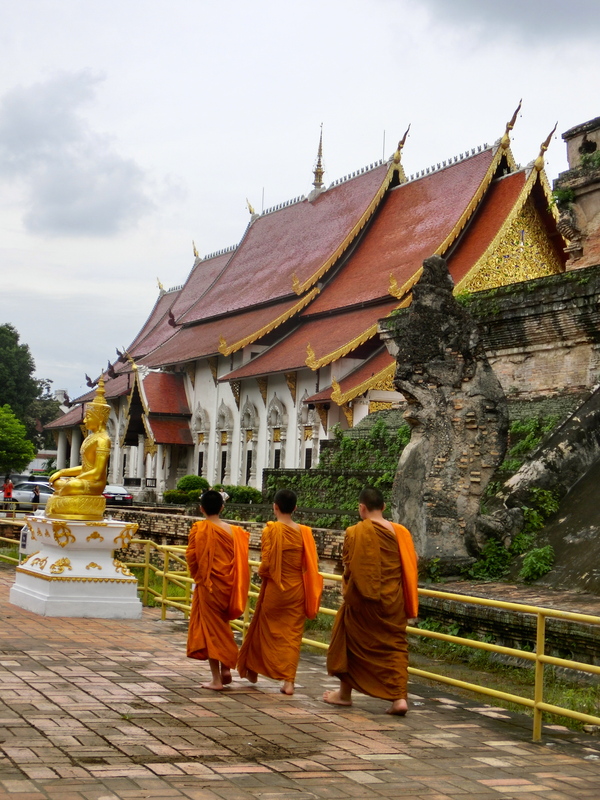 It was fascinating to see so many monks going about their daily business around all the temples. A lot of the temples also seemed to have monastery schools attached, and there were often whole classes of young monks walking around between lessons. 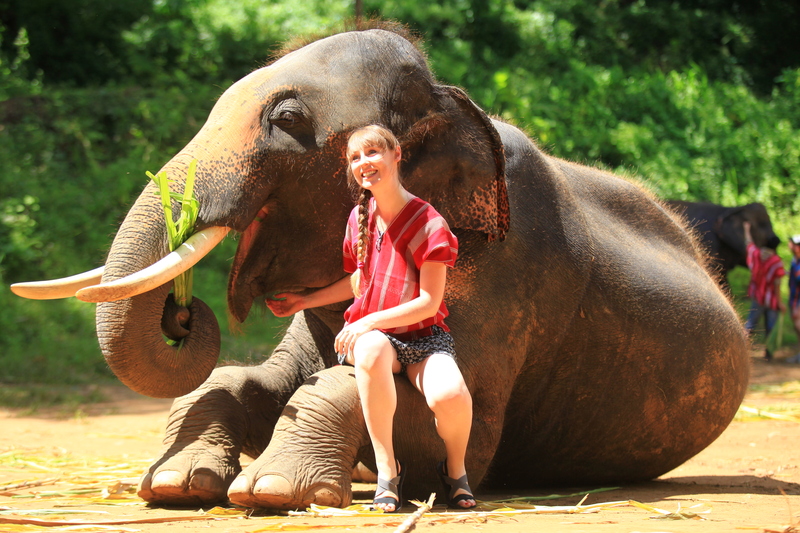 Our second day, and quite possibly the best day of my life, was spent playing with elephants!!! It was so amazing, I’ve written a whole other post about it here. 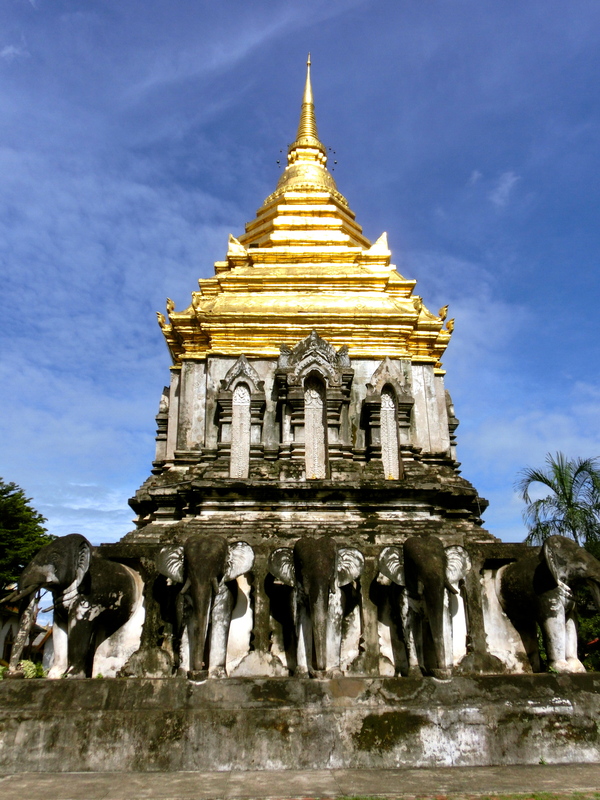 But if you don’t have time for that and just want a recommendation of where to visit elephants, look no further than Patara Elephant Farm. Seriously, you have to go. 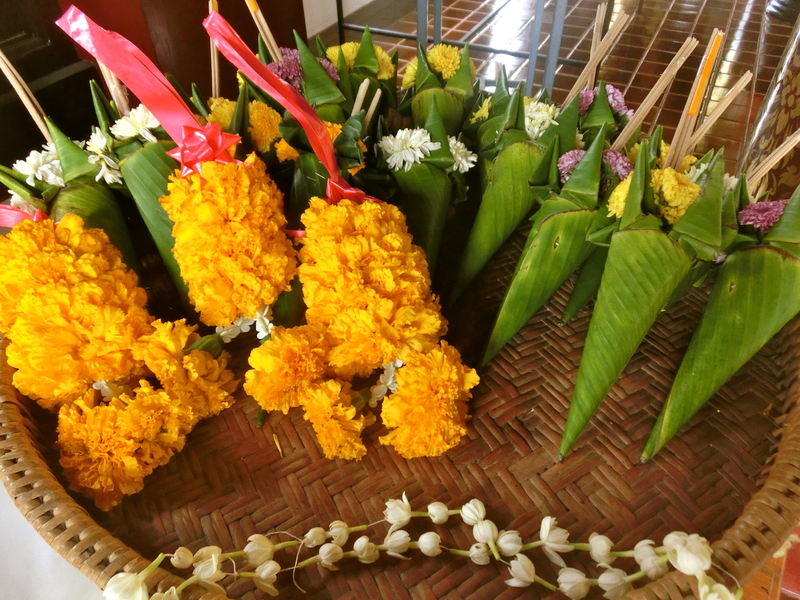 One of the great things about Chiang Mai were the markets. 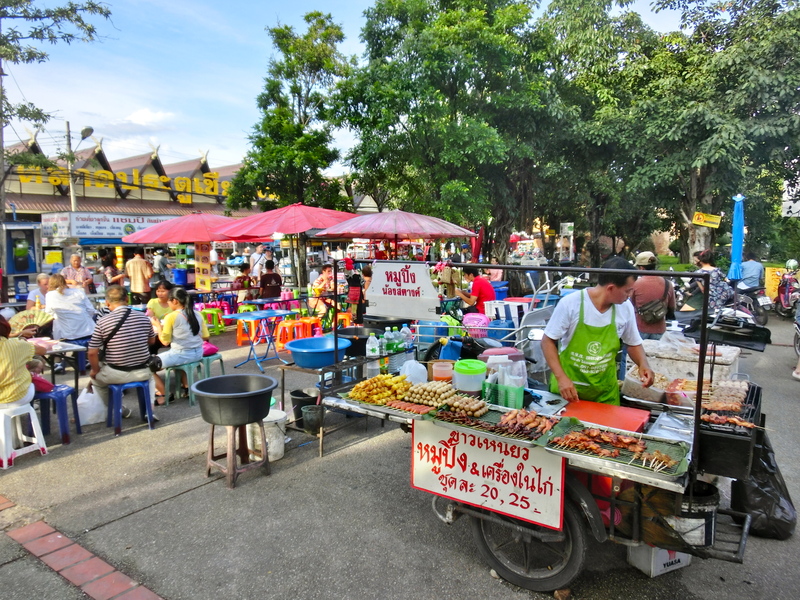 In the evenings at the weekend, whole streets are cordoned off into Night Walking Markets (Wualai Road on Saturdays and Rachadamnoen Road on Sundays), which were great places to wander around, picking up souvenirs and trying out some amazingly delicious street food. The owner of the hotel we stayed at was amazingly helpful and helped us to organise a very friendly driver for our final day (a man who also has a coffee shop around the corner) for a very reasonable price. This meant that we managed to squeeze everything else in from the comfort of an air-conditioned SUV for half the price of one of the local songthews (a red pick up truck that’s been kitted out to fit as many tourists as possible). 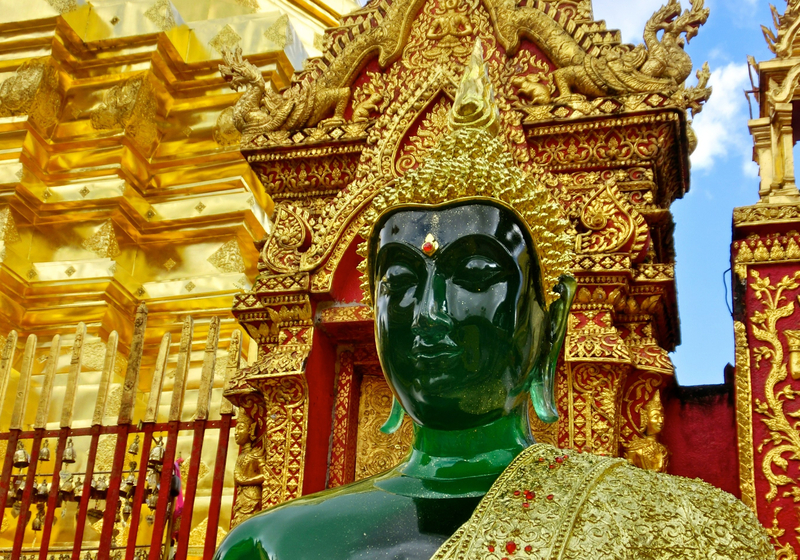 We started off by heading up the hills to the west of the city to visit the temple at the top of the mountain overlooking Chiang Mai below: Wat Phra That Doi Suthep. 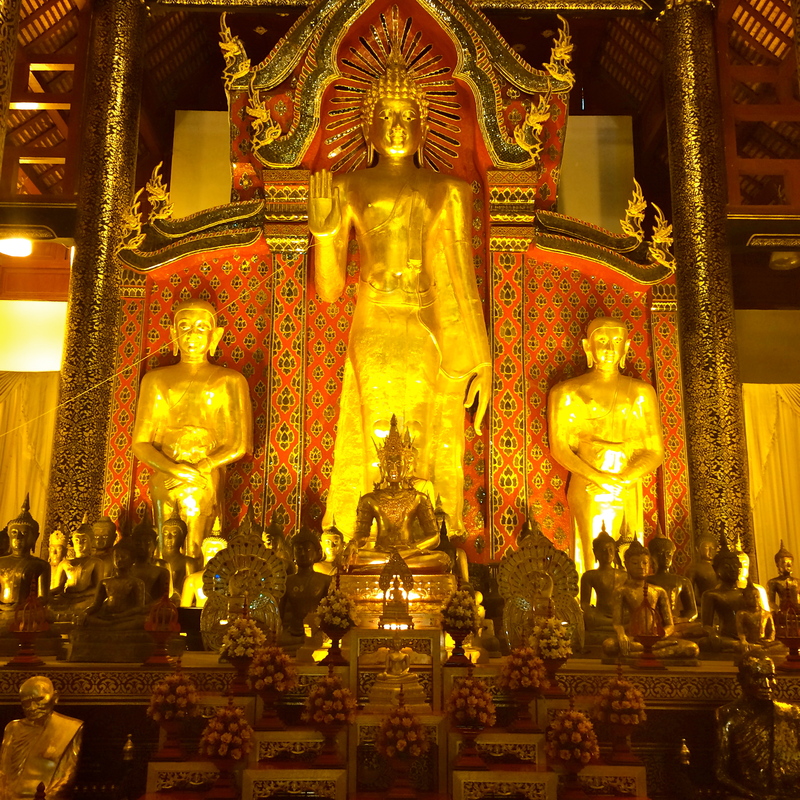 This Buddhist temple was impressively packed with golden stupa, golden Buddhas, golden everything really… And there were so many monks! Going up in the morning also meant the skies were clear, allowing for some great views of the city. 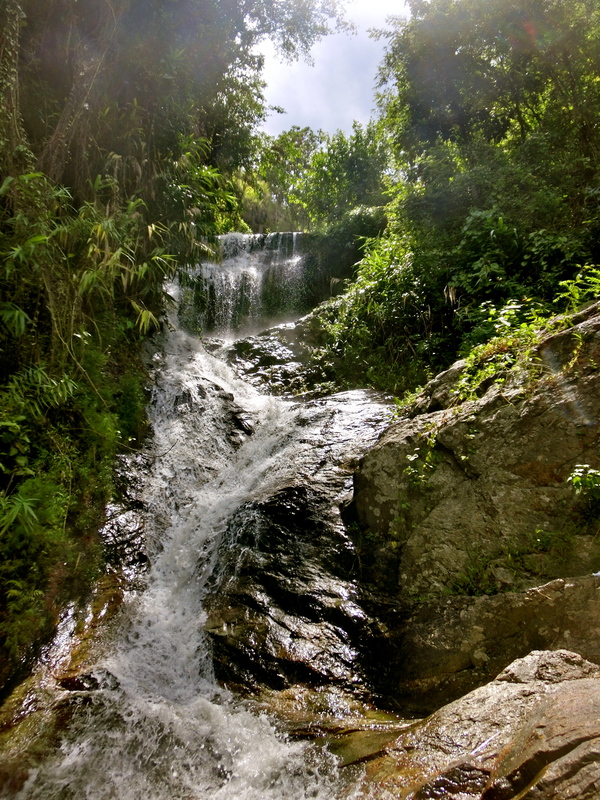 On our way back down, our driver suggested we stop off at Huay Kaew waterfall, which was a great idea. 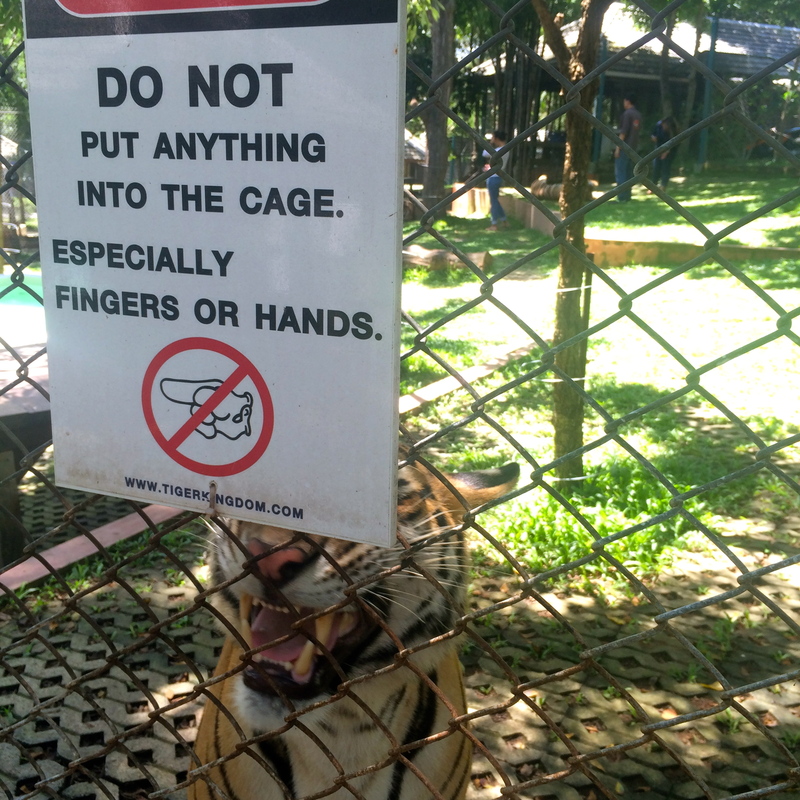 We then headed off to Tiger Kingdom to get a little too up close and personal with some tigers. I wasn’t quite sure what to expect as from photos it appeared that the tigers were drugged, which is clearly not a very humane, but I wanted to see for myself what all the fuss was about. While possibly not drugged, they are clearly very overfed, to the point that they are too fat to move around, and are so tame that they must have been reared in these conditions since birth to be so used to human contact. Overall, I felt a bit uneasy with the whole set-up as the tigers here are living a life that is in no way similar to their cousins in the wild, but it was an incredible experience to be able to interact with these beautiful creatures. 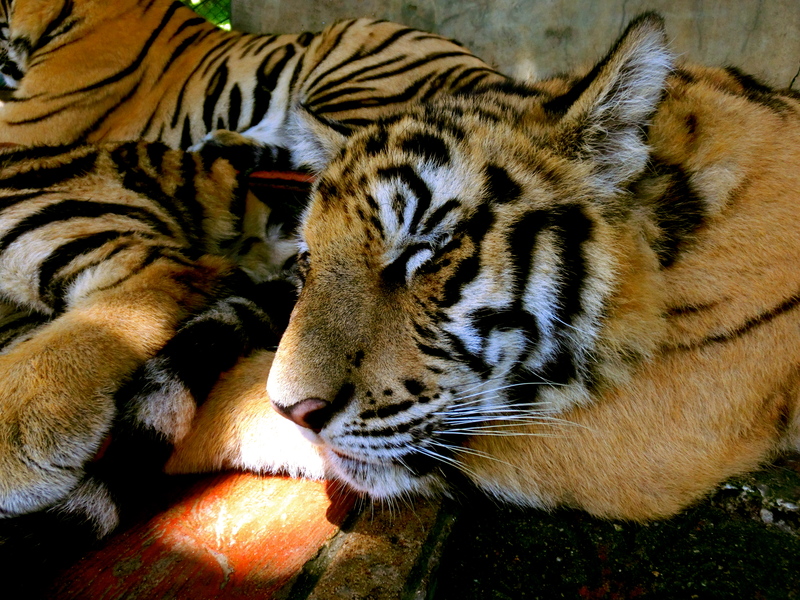 I was encouraged to see that the tigers seem to be well treated and happy, but if you feel strongly about animals in zoos living as close to how they would be in the wild, then I would advise you skip visiting Tiger Kingdom. For our final night we had no Night Walking Market to go to, so asked for a recommendation of where we could get some good street food. Just outside the northern city wall, on a lay-by beside a roundabout, street vendors set up their carts every evening and the choice is great! We went for one dish from every stall before picking up some banana pancakes to take home. Seems like an odd place to go for dinner, but worth checking out for some delicious and very cheap food. 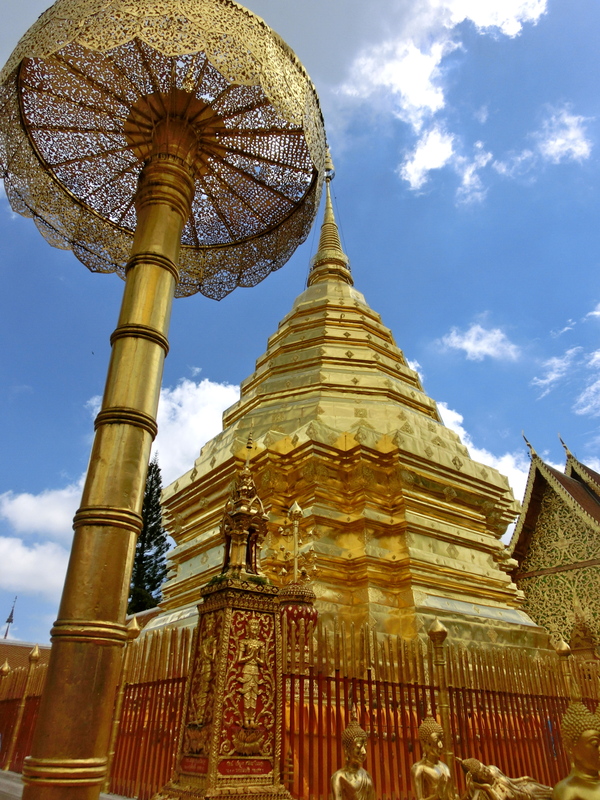 How to get there: take the overnight train or a short flight from Bangkok. 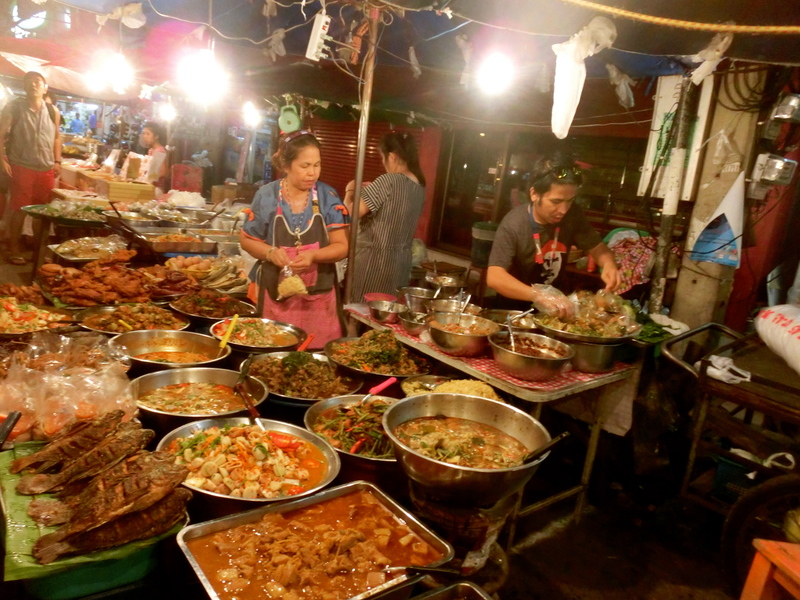 Holly’s Top Tip: plan your trip to Chiang Mai to coincide with the Saturday or Sunday Night Walking Markets – they are such a great way to spend an evening. 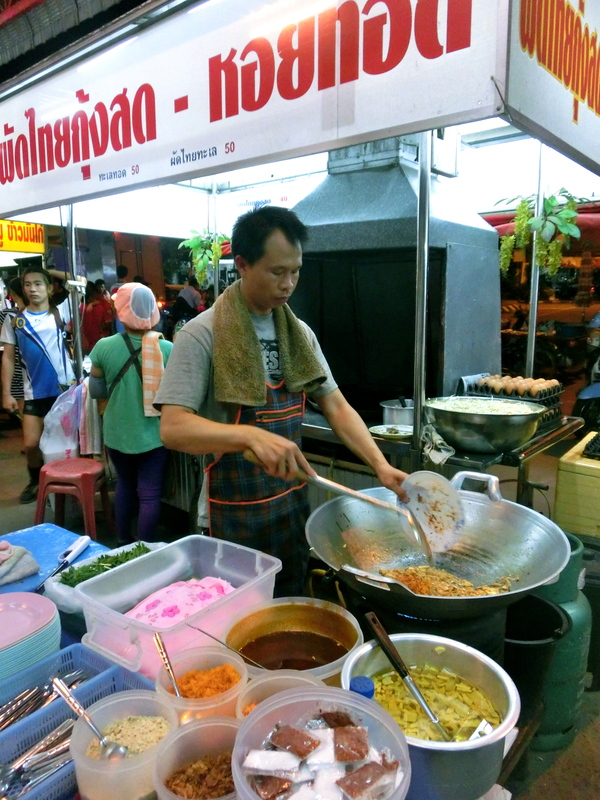 Did you feel the food from the night markets was safe to eat? It looks like the perfect place to try a lot of local cuisine. Yes, very safe to eat and totally delicious!